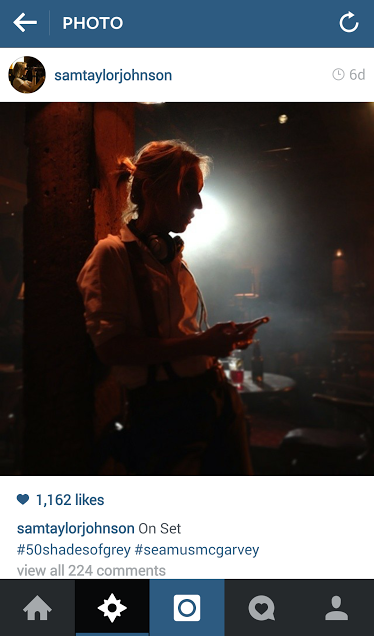 Director of Fifty Shades of Grey, Sam Taylor-Johnson joined Instagram and posted a few new pictures this week. First, she posted a photo from the set of Fifty Shades of Grey. 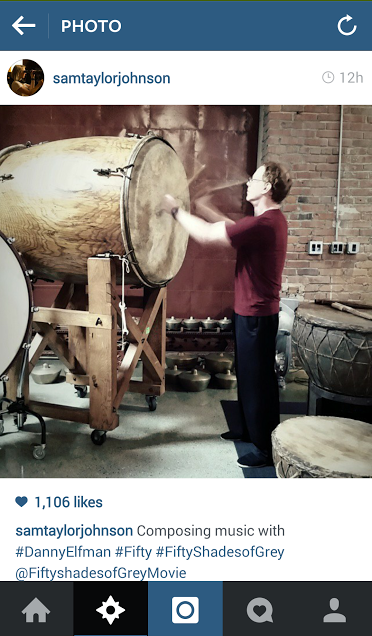 Then today, she posted a photo of Danny Elfman composing music for the Fifty Shades of Grey soundtrack. That big drum looks pretty intense. 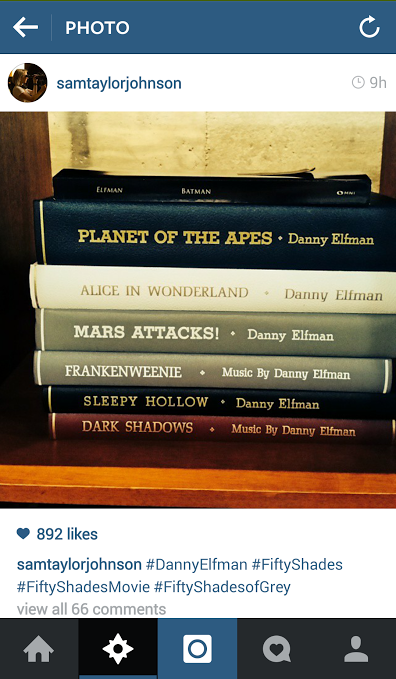 She followed up with a picture of other movies that Danny Elfman has scored. He has quite a resume and a long history of being a part of successful movies. As fans of Fifty Shades of Grey, we are very fortunate to have him working on this soundtrack. We are really excited to see Sam posting great stuff that gives us a little behind the scenes peek at the making of the movie. Make sure you are following her Instagram. Jamie Dornan joined as well so make sure you follow his Instagram too.